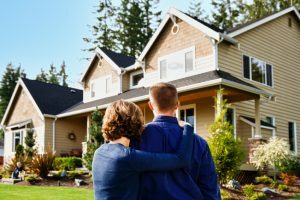 If you are buying and selling a home, you may what to consider the facilities you should be looking for when looking to buy a new home. Here are the top facilities that most home buyers look for when buying a home. Look at the kitchen appliances – Consider the age, care, and condition of the home appliances on offer because if they are not in good condition, chances are you will have to invest more money to bring your kitchen up to standard. Finishes and materials – Cheaper homes will use vinyl flooring, lower-end carpeting and plastic laminate counters in the kitchen and baths. More expensive home will have tiles or wood, and solid surfacing in kitchens and bath like granite or slate. Know what to expect for the price you are paying as this will mean that you will get the best deal for your money. Pay attention to the ceiling – Look for leaks, spots, and cracks in the ceiling to identify any structural damage. Speak to a homeowner who has bought older homes and ask them if there are any signs you should look for when viewing an older home. Look at the neighborhood – You need to feel comfortable in your neighborhood to ensure you feel safe in your new home. Consider the proximity to schools, your work and the nearest shopping area before finalizing your decision.